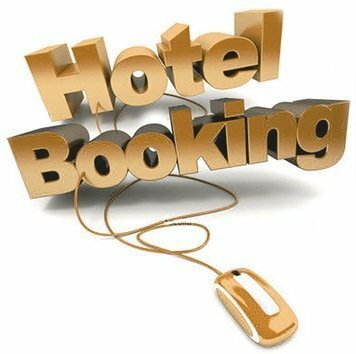 If you are wondering how a guest can book a hotel room then this particular article is for you. Guest reservation in hotel is done through many sources. Here the term “source” means an individual or group or company which takes service from hotel and in reply pay for it. In large hotels reservation agents handle such reservations. In small or mid range hotels a front desk agent has to perform guest reservation activities. Global Distribution System is a network of sources that bring products and services geographically available to the consumers from anywhere in the world. GDS is a very important source of reservation. Some featured examples of global distribution are Sabre computer system, Amadeus computer system, Galileo central Reservations Systems, Worldspan and the Scandinavian Multi Across Reservations for Travel Agents (SMART). Most of the hotels are connected to one or more of these Global Distribution Systems. From anywhere of the world the traveler can make reservation to those hotels that have these systems as these systems have computerized network system. The other service provider also can access to these systems. For example Amadeus connect 15000 travel agents and 2 million consumers with 350 airlines, 40 car rental organization, 25000 hotels, and dozens of railways, tour companies, ferries and cruise liners. Tour operators comprise of package tour programs and sell these packages in large number all over the world. Tour operators are basically whole sellers who deal with hotels, surface transporters, airlines, cruise ships, tourist offices and so on. Tour operators cooperate with hotels or airlines in order to include their service in their package tour. For example in the news paper we can read the advertisement “4 days and 3 nights in Bangkok”. As these tour operators make tour package including hotel room charge in their package so they are also very effective and valuable source of reservation. Travel agents are the retailers; they receive commission from the tour operator for selling their tour package. Travel agents do many promotional activities for selling these travel package. For example travel agents distribute posters and brochures with attractive description of the package for the citizens. Travel agents also promote personally hotel accommodations and airline bookings in order to gain discount and commissions from these hotel and airlines. Travel agents are generally located in the prime location which is a convenient place for the traveler. So travel agents can easily attract the guests. If anyone wants to reserve a hotel room then they can reserve through travel agents. Offer 10% discount on the room rate. Bookings on American plan will draw a commission on boarding and accommodation charges. Bookings on European plan will attract a commission on only room rate. Commission is payable on the entire stay of the guest up to a maximum of 21 days. If the hotel planning a partnership with the travel agent then the hotel has to fill a questionnaire which is provided by the travel agents. Travel agents are not allowed to quote rates in excess of rates which are adjusted. Before reviewing a room tariff, the travel will get at least one month. If the tour leader will comprises a group of more than 15 members then the hotel provide 1 complementary room and if the tour leader comprises a group of at least 15 members but not less than 10 members then the hotel will provide 50% on the room rate. Generally hotels operate European plan but if the group is made of more than 15 members then the hotel may accept American bookings. Airlines business is very popular among hotels. Because the airlines crews are regular customer and they can add glory to the hotel atmosphere. But airlines crews generally stay for short time and hotel always has to give discount on their stay. Corporate houses are also a good source of business for the hotel due to their better fund. Corporate houses have to deal with many clients and they also have to arrange company training programs and meetings. For this reason they contact with a hotel for these purposes. Hotels also prefer this business due to their reliability. By dealing with the corporate house the hotel can attract many guests for their hotel and can enhance their business. Hotel’s individual websites are one of the easiest and popular sources of reservation. Hotel established their websites including the full details of their features with lucrative look. In the hotel website guest will find a reservation form, by filling this form the guests can easily make reservation according their choice. After filling the reservation form the guests will be confirmed whether they get booking or not. Some hotel websites are so well organized that they can present virtual tour of the hotels. Diplomatic officials generally travel throughout the whole year and they have to stay in the hotel. As diplomatic officials have to contact with embassy and consulates during their travel so these media can be a good source of business for the hotels. If the employees of United Nations will visit a particular city then the local U.N. office will be the source of hotel room bookings. For this reason the hotels which are located at that particular city want to deal with embassies and consulates. Free individual travelers are the guests who directly contact with the hotel and make reservation. They do not depend on any media. They chose hotel on the basis of quality service, image factor, budget and their convenience. Some individual also take suggestion from others for selecting the hotel. So any hotel tries to attract these travelers through quality service that they will again come to this hotel. The free individual travelers can book the hotel room from anywhere in the world. As the website display all details of hotel features so traveler can chose according to his or her convenience. Central reservation offices are the most popular and easier reservation systems. CRS offer toll free telephone numbers to attract travelers to utilize their facility. The central reservation system is the best option particularly for the independent operators who have limited capital to run business worldwide individually. Generally individual operator registers with Non-Affiliate system on a subscription basis for smooth reservation. Major chain hotels have their own CRS that help them to run business in all the locations where they have their properties. Also there is referral tie up with some hotels where they have no hotel to run. Thus they can send their guest in non business areas. A good benefit for independent hotels who are in same reservation system is enjoying inter sell through other businesses like travel agency, car rental etc. For example a travel agency may book hotel room for its client under that particular system. There are many associations in the business world like automobile associations, free masons, trade associations, hotel federation and so on. These all associations have to arrange business meetings, conferences, conventions throughout the year. For arranging theses meetings, conventions these associations have to book rooms. That’s why the reservation agent or hotels make connection with the associations to gain volume business. These associations have both local and international offices which can operate worldwide business. Though most the government offices have their own guest house. But sometimes government offices offer hotel accommodation to their high rank officer. So this media is also a good source of business. 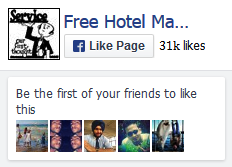 Referral hotels do not involve in chain operation as they are independent hotel. To enhance their hotel business the owners of the referral hotel recommend each other to attract guests. The airlines who have connection with referral hotels, recommend those referral hotels. Most often the passengers get some recommendation from the crews regarding hotel. please send me some important copies .